The Michigan Environmental Council, the Natural Resources Defense Council, and the Sierra Club are speaking out against DTE Energy's most recent rate case before the Michigan Public Service Commission. "DTE's proposal is unprecedented in the sheer amount of money they're requesting - over $2.8 billion," said Ariana Gonzalez, senior energy policy analyst for the Natural Resources Defense Council. "And we don't feel they've made the case for that amount of money." "If this massive proposal is approved, we've calculated that residential customers could pay up to $240 more per year by 2022," said Gonzalez. 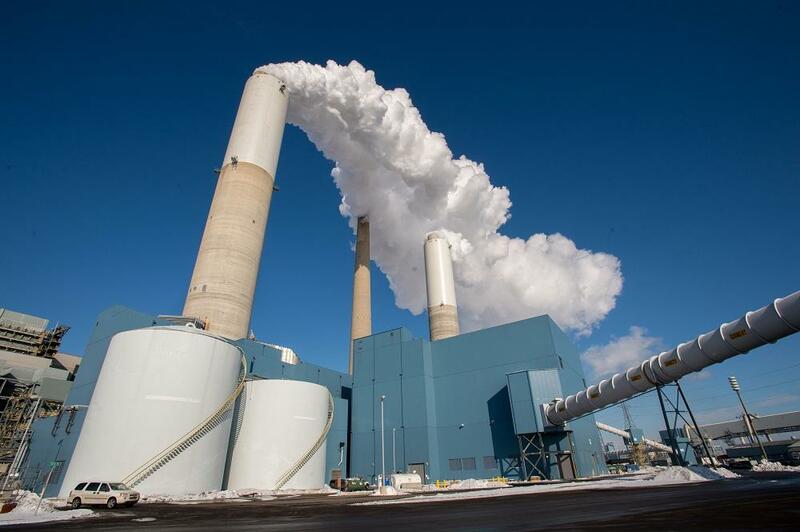 The environmental groups said DTE's proposal would waste money on coal plants, referring to proposed capital expenditures for the River Rouge plant and the St. Clair plant. They also said the utility's plan could reduce future solar power installations. But they priased the plan's proposed pilot program for encouraging electric vehicle charging. "We do find the Electric Vehicle Charging Program to be really the bright spot in the entire proposal," said Gonzalez. "What they've put forward would be the largest electric vehicle charging pilot in the Midwest." DTE spokesman Peter Ternes said in an email, "The nation's infrastructure is at a critical juncture, and as we work to upgrade Michigan's energy capabilities, we are doing so in a way that balances the need for investments while keeping energy affordable for our customers." Ternes said DTE's plan treats solar customers fairly. Editor's note: DTE Energy is one of Michigan Radio's corporate sponsors. DTE Energy now has the green light to build a billion dollar natural gas power plant in St. Clair County. But while state regulators approved of the plan, they also made it clear they didn’t like the way the utility behaved during the review process. Until recently, if a home solar array produced more electricity than the house used, it would go through the meter onto the grid. Residents with solar power arrays got paid for that power at the same rate as the power company charged other residents. Power that comes in/power that goes out: same price. This even exchange is called net metering.